County Clare is known as 'Traditional Ireland' thanks to its sleepy villages with colourful shop fronts, smoke from peat fires and local musicians playing in olde worlde bars. With a fantastic location overlooking the cascading Inagh River, our tour showcases the spectacular scenery of this region and no doubt, the highlight will be a day on the Aran Islands. County Clare is known as Traditional Ireland thanks to its sleepy villages with colourful shop fronts, smoke from peat fires and local musicians playing in olde worlde bars. 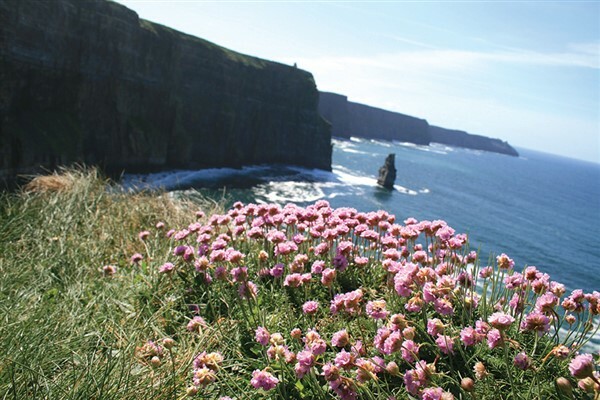 With a fantastic location overlooking the cascading Inagh River, our tour showcases the spectacular scenery of this region and no doubt, the highlight will be a day on the Aran Islands. Travel by ferry from Holyhead to Dublin and continue to Mullingar for our overnight stay at the 4-star Bloomfield House Hotel. 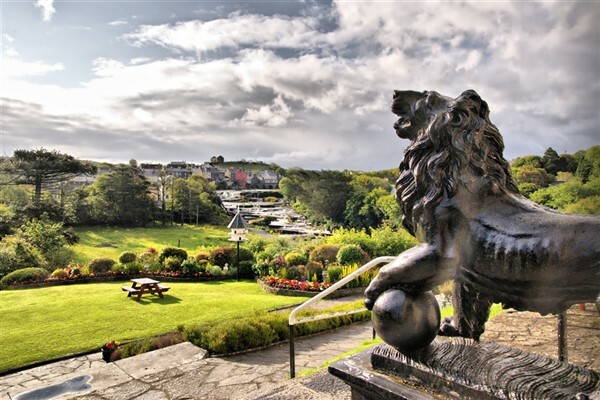 Venture west with a visit to thriving Galway for some free leisure time before proceeding to Ennistymon for our 3-night stay. 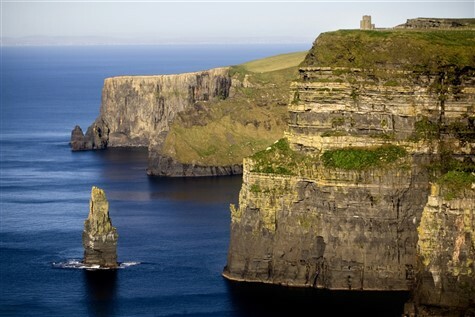 Today we explore the breathtaking Cliffs of Moher - home to Ireland's largest colony of sea birds. We include entry to the Visitors Centre and the Atlantic Edge audio-visual presentation. We continue through the 'moonscape' scenery of the Burren with majestic mountains, tranquil valleys and megalithic tombs older than the Egyptian Pyramids! The highlight of the tour begins at Doolin where your ferry awaits. On the Western Edge of the Atlantic fringes, the three Aran Islands have been standing guard for centuries. Enjoy a scenic cruise to Inishmore where we include a tour in the traditional way; by Horse & Carriage! Your driver will provide informative commentary as you wind your way through the island, past dotted ruins of Christian Monasteries and fortifications. Heading across Ireland we reach County Offaly where we include a visit to the Tullamore Dew Heritage Centre - housed within an old Bonded Warehouse where we follow in the footsteps of Daniel E Williams from Stable Boy to Distillery Manager who created the whiskey which still bears his initials today. In the afternoon we continue to Dublin for a 2-night stay at the Aspect Hotel. A morning guided tour of Dublin's 'Fair City' before free time in the afternoon. Breakfast today is included on board our return sailing to Holyhead then we continue homeward. 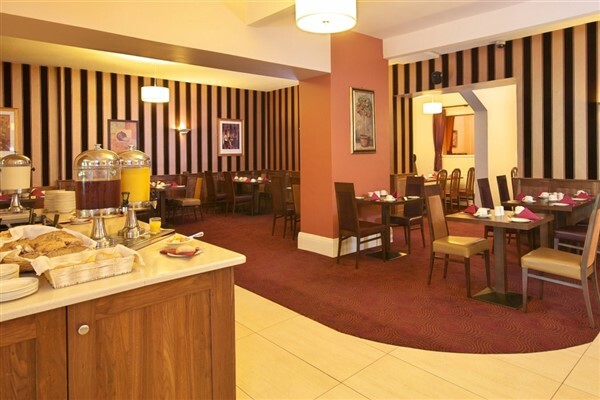 The hotel offers comfortable, spacious accommodation with the small town of Ennistymon just a short walk away. Guests will not fail to be impressed with the stunning views from the public areas and its 50 acres of gardens, woodland paths and river walks. Restaurant, bar, leisure facilities including indoor swimming pool. Mobility Grade: 4  The resort & hotel offers good access throughout with lift to all floors.